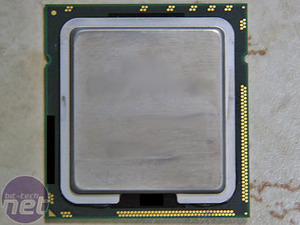 MSI showed us how it is currently testing early versions of Intel’s next generation Nehalem architecture, which is based on the Bloomsfield CPU platform and Tylersberg chipset – the latter will be branded under the X58 nomenclature. 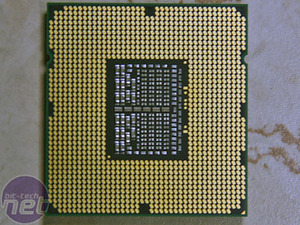 First, the CPU and its new socket: while the roadmaps say the high-end Nehalem to be launched in Q4 will have up to eight cores, the one MSI had in its office was just a quad-core but with eight threads. 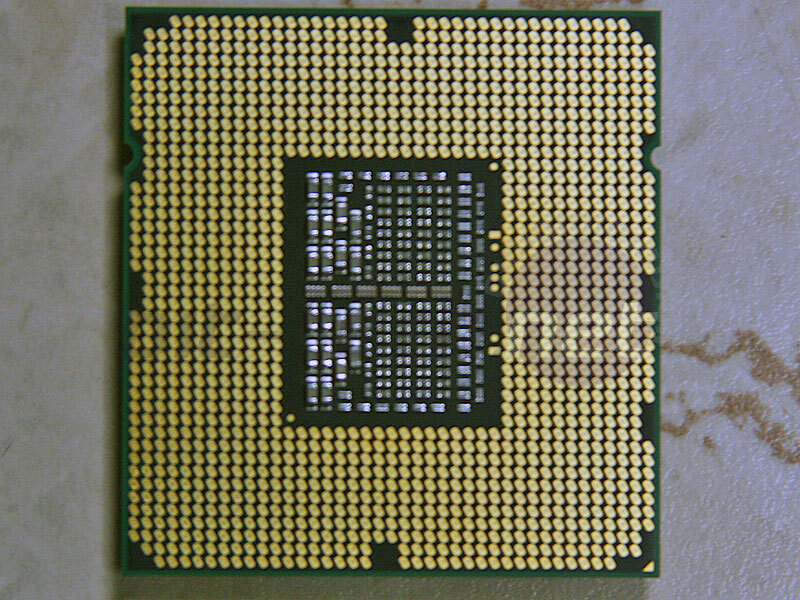 The socket is still LGA, but instead of the 775 used on current boards, this one now features 1366 pins and is slightly rectangular – not Pentium Pro rectangular, but simply a stretched out square. 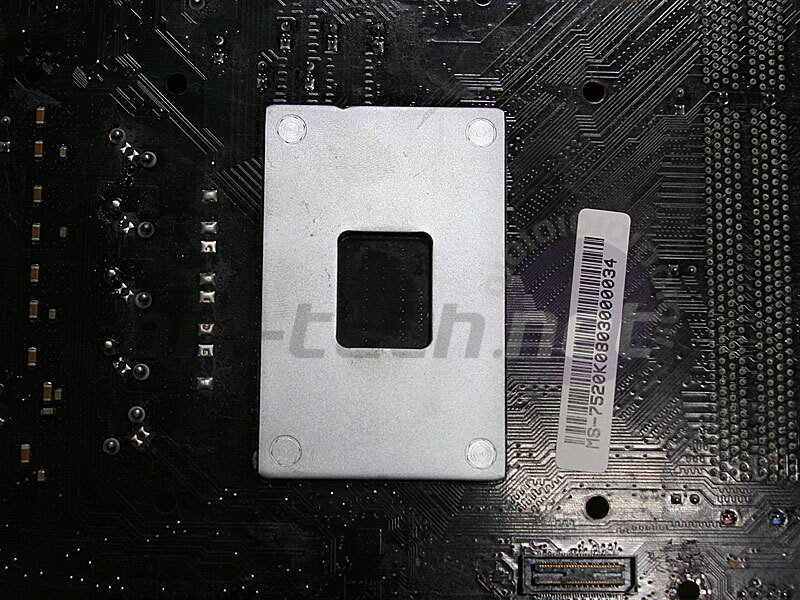 The back of the socket now has a metal backplate to brace itself and I’m afraid you’ll be buying a new heatsink too because the socket fittings have changed since LGA775. 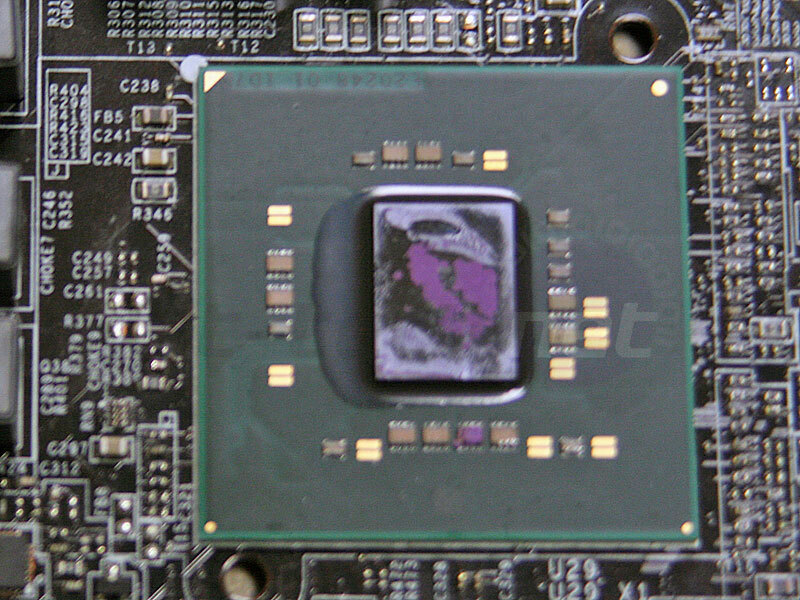 In fact, the whole area that needs to be exclusively for “Intel CPU use” is now apparently over twice the volume of that compared to LGA775 giving motherboard manufacturers even less space to shoehorn in additional components. 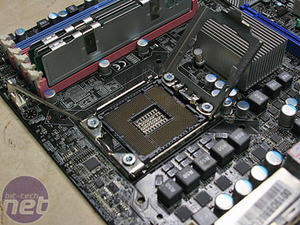 Since the CPU now has the memory controller built in, the memory slots are now that much higher up the board, guaranteeing space above the upper most PCI-Express x16 graphics slot. 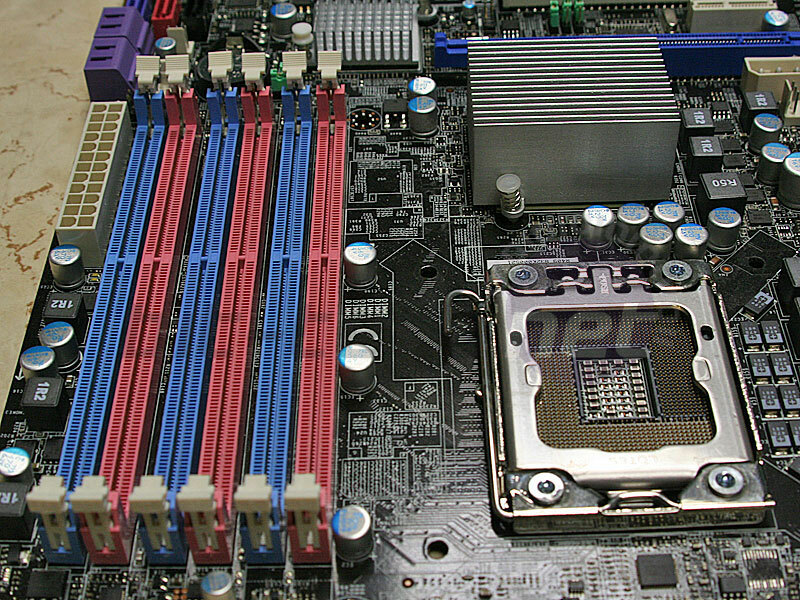 MSI also includes six memory slots because the CPU has triple channel DDR3, and exclusively DDR3, so you’ll have to buy at least three DIMMs to make the most of the new upper-tier Intel platform. 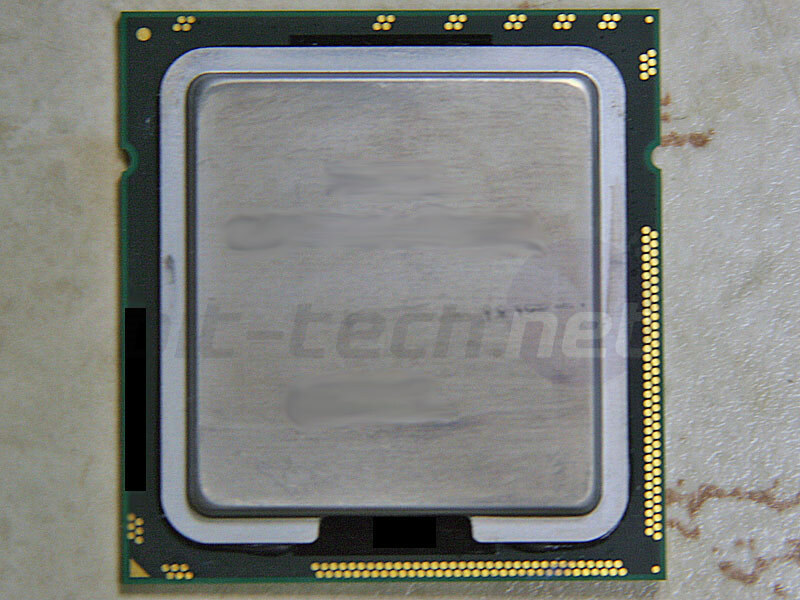 Tylersberg, or X58 as you will come to know it, actually takes up a very large die-space considering it’s (currently) built on 65nm. 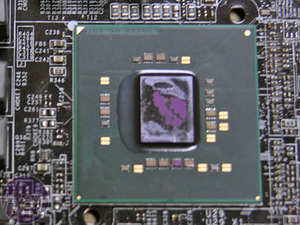 MSI told us that it was actually significantly hotter than current chipsets mostly because of the super-fast QPI links from the CPU. 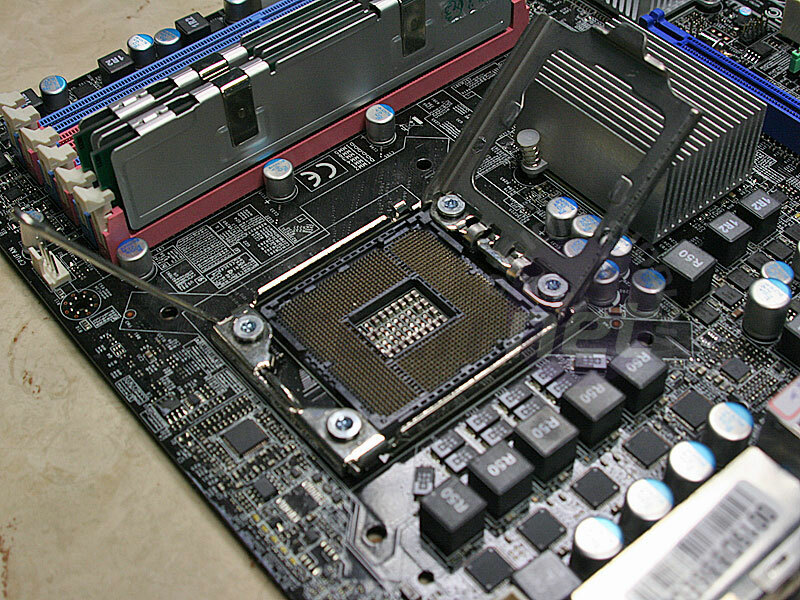 It also features 36 lanes of PCI-Express 2.0 so you’ll get a full x16 by x16 and even an x4 thrown in for free – here MSI uses it as part of an extra x16 slot, but now it comes without the downside of disabling other components like current boards have. The south bridge is still ICH10 – so nothing new here. 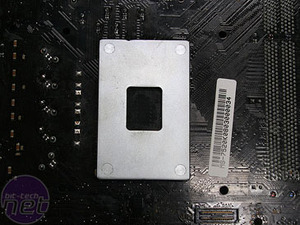 MSI said it was debating getting rid of the floppy port entirely, and even the PS2 ports, however the company's representatives said they always receive complaints when legacy features are dropped – the most recent was a big backlash over dropping the parallel port in favour of using the space for four USB 2.0 ports?! While the board isn’t a final product yet – there are still some design changes to be done, it looks like all the usual suspects are being included: JMicron eSATA and IDE, Silicon Image “hardware” SATA RAID, Realtek ALC888 HD audio and RTL8111 Gigabit Ethernet, although MSI does now include eight USB 2.0 ports in the rear I/O. Give it six more months and you'll be seeing this as a final product in the flesh - we'll be sure to look back and see how it's changed during development. Are you excited by the prospects of Nehalem? Share your thoughts in the forums.